SP Energy Networks is the Distribution Network Operator for the Merseyside, Cheshire and North Shropshire area in England and we are responsible for the electricity substations, overhead power lines & underground cables in this area. We’re dedicated to delivering a safe and reliable electricity supply 24 hours a day, every day of the year to over 1 million customers in the Merseyside, Cheshire and North Shropshire area. 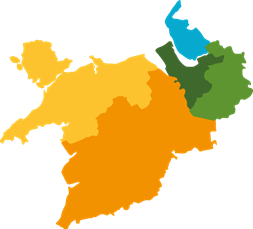 If you experience problems with your electricity supply in any of these areas, you need to contact SP Energy Networks, regardless of who you buy your electricity from. This, complemented by tree cutting to remove trees within falling distance of our lines, will result in dramatic improvements in the network’s capability to cope with extreme weather conditions. Are you dependent on special medical equipment, chronically sick, disabled, or have some other special needs you would like us to consider? Or do you know someone else who is? We’ll proactively contact you if we know of a problem in your area. We’ll keep you informed with regular updates and we can work with external agencies who may be able to assist. If you want extra security, we can agree a password with you, which we will use if we need to call on you. Unfortunately, interruptions to the electricity supply are sometimes unavoidable. However, at SP Energy Networks, we do our upmost to prepare you for a power cut, whether planned or unexpected. We are investing in the network in your area which will mean fewer and shorter interruptions during extreme weather conditions. Our industry leading approach to storm resilience ensures that our overhead lines are built with specifications matched to the expected weather conditions. A torch with charged batteries or a wind up dynamo torch. You can also buy battery-powered lights that plug into a power socket and come on automatically during a power cut. Candles – these are useful but be careful where you put them and keep them out of the reach of children. At least one phone that doesn’t run off of the mains supply; i.e. an analogue telephone or mobile. A battery-powered radio and fresh batteries, as you may be able to receive updates on the incident. Portable heaters – they act as a good alternative to heating systems which often don’t work during a power cut. However, take care where you put them and never leave children alone with them. We have a wealth of experience in a wide range of connections to our electricity network, from one-off connections to large residential, retail and industrial developments, as well as sports stadia and leisure parks. You are able to obtain a competitive quotation for some elements of the connection works from an Independent Connection Provider (ICP). For further information, view our competition in connections page. SP Energy Networks are keen to assist any developer who is interested in connecting generation onto our network, no matter how large or small. At SP Energy Networks we are keen to support our local communities who may have community projects that require a grid connection. Our account management team provide support to community projects in terms of advice and guidance, from what is required to make an application for a connection, through to getting connected. To ensure that we can offer the most appropriate assistance to community projects, we have a created a dedicated email address for community groups. If you are involved in a community project and need some assistance, please email gettingcommunitiesconnected@spenergynetworks.co.uk, providing details of your project.